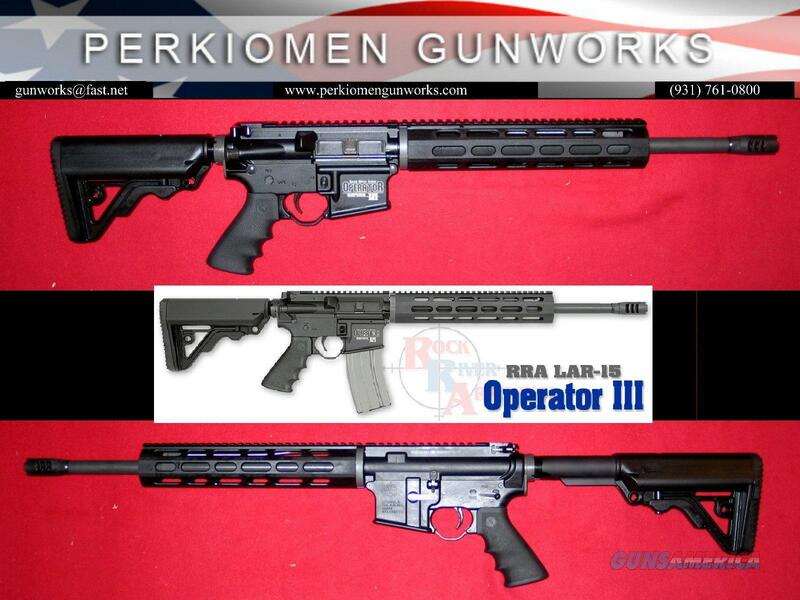 Description: Rock River Arms Operator III, LAR-15, 5.56/.223, 16 inches – New in Box RRA Part # BB2523. RRA new model with Forged A4 receiver, Chrome Moly HBAR 1:9 bbl, low profile gas block, NEW RRA Operator Brake (see photos), RRA two stage trigger, RRA Winter trigger guard, Hogue rubber grip, RRA Operator CAR Stock, RRA Tro-Mid free floating handguard, about 8 lbs, 1 inch MOA at 100 yards. New in hard case with TWO (2) 30rd mags.